If you are interested in your family history or the history of your North Sydney house, then the North Sydney Heritage Centre can help. The Heritage Centre at Stanton Library documents the social, cultural and built heritage of the local area. You can access a wide variety of primary and secondary material for research; the local history collection includes books, photographs, newspapers, maps, plans, AV material and oral history interviews. 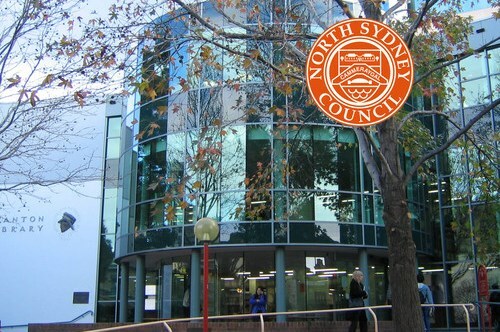 The Centre holds the North Sydney Council Archives, community archives and historic costume and artefact collections. There is a changing exhibition program, as well as regular guided walking tours and author talks. Volunteers staff two local history museums, Don Bank Museum in North Sydney’s CBD and Sexton’s Cottage at St Thomas’ Rest Park in Crows Nest. Don Bank is a rare example of an early 19th century timber slab house, nestled in a remnant Victorian garden, with displays telling the story of the house and its former occupants. Sexton’s Cottage, once used for laying out bodies prior to burial, houses research resources on the history of St Thomas’ Cemetery and those buried there. Dedicated in 1848, the cemetery was the first burial ground on the north shore. Now converted to a Rest Park, it contains monuments to many significant early settlers with interpretative signage for self-guided walks.